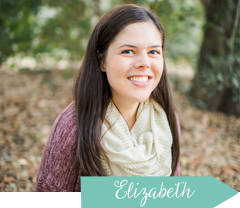 Last week I was on bloglovin catching up on my favorite blogs when I came across an exciting post. Natasha from Schue Love was offering to design a room for free. I thought, "design help? for free?" I'd love to! I've been thinking a lot lately about re-decorating Mason's room since we never fully re-decorated his nursery when we moved in to our new place (almost 10 months ago!). He's getting older now and I think it would be nice to have a big boy room instead of a nursery anyway. A space that he can call his own and is inviting and makes him want to run around and play and have fun. I've been reading Natasha's blog for a while and LOVE her style so I thought I would contact her. She has a son about Mason's age (Ethan is about a month older) so I knew she had amazing little boy taste. I sent her an email and explained what I was looking for and sent her some current pictures of what the space looks like now. These pictures are actually a little out dated because Mason actually ripped the shelf with his owl pictures off the wall a couple weeks ago. Long story short, here is what the space looks like now. 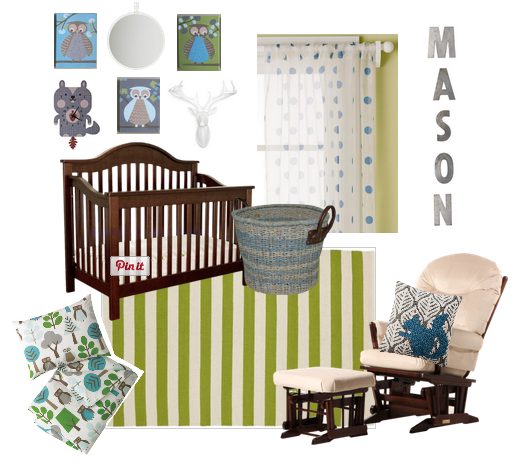 My original inspiration for Mason's nursery came from Dwell Studio's owl line. We have this fitted sheet and this changing pad cover And this chevron fitted sheet. I told Natasha that I really liked the "M" zinc letter from Anthropologie and the idea of the owls and she translated it into a big boy room for Mason perfectly!! Check out Natasha's post HERE for the links to of the products! Thank you so much for this inspiration board, Natasha! I absolutely LOVE everything about it and can't wait to start shopping and decorating! Love her ideas! Can't wait to see the transition! We'd had the shelf up for forever until one day when he decided to be adventurous! Boys! He still stands up there, like he is looking for it to pull on it, and then gets sad when it's not there. I would recommend taking it down/moving it, or just making sure it is super secure!